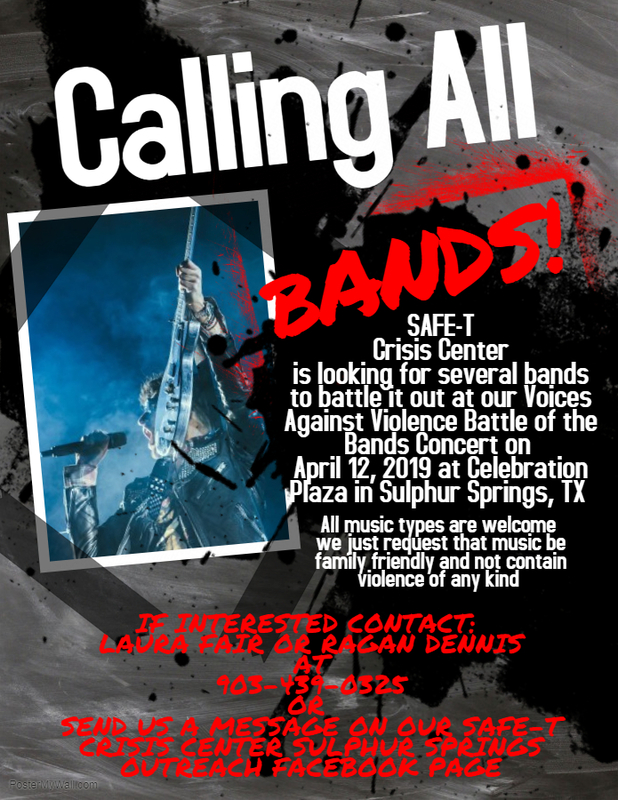 [Sulphur Springs, TX] – SAFE-T Crisis Center Sulphur Springs Outreach will present Voices Against Violence Battle of the Bands, taking place at Celebration Plaza on April 12, 2019, and we are seeking bands from the area to perform. 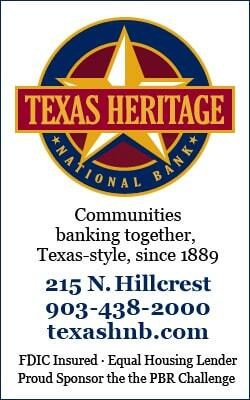 SAFE-T is putting on this Battle of the Bands to raise awareness for National Crime Victim’s Rights Week and would love to have several types of bands performing a variety of types of family friendly music for everyone to enjoy. 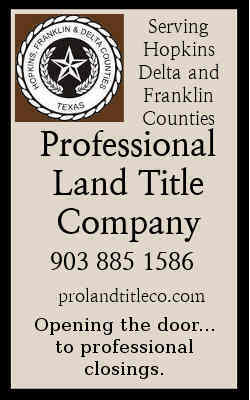 If your band is interested in performing or you know a band that you think would be great please contact us by phone at 903-439-0325, email at [email protected] or [email protected] or on our Facebook page SAFE-T Crisis Center Sulphur Springs Outreach.